With the continuing advancement of technology in this age, the more our lives are attached to it. From our work down to our personal lives, the presence of technology is ever present. One advancement of technology comes in the form of information technology. Information technology, or IT, is the study and use of electronic devices that immediately stores, analyzes and distributes whatever kind of information, like words, images, and numbers. Information and technology, as separate entities are already powerful alone. With information that is a factor of progress and development while technology, on the other hand, is influential to the society. But with the two being merged in one as information technology, it forms another powerful concept that has affected the society since its creation. Information technology proves that change is indeed the constant thing in this world. Information technology has affected lives and the society as a whole. Human endeavors are affected and influenced by information technology and one endeavor that is obviously affected is the business sector. It is one manifestation that information technology has indeed become a factor of change. Many businesses now are either all about information technology or are dependent to information technology. Like for instance, the means of purchasing products does not anymore need the physical presence of the buyer since information about the product is readily and conveniently made available on the company’s website. With all this change that has brought about by information technology, the need to regulate it has increased. In the form of IT policies and procedures that most IT or IT-dependent companies utilize, information technology can now be regulated. What Are IT Policies and Procedures? 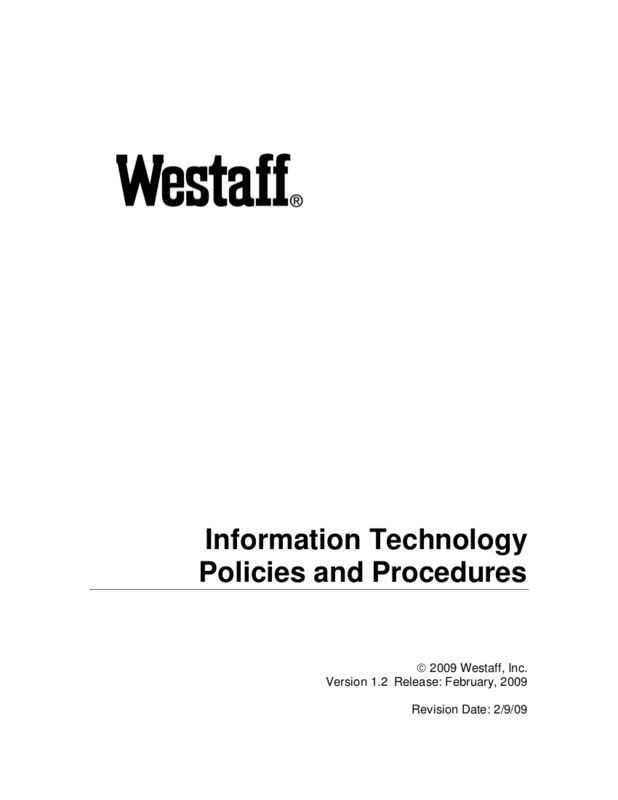 IT policies and procedures help the company in establishing the guidelines on how Information Technology are to be handled by its employees. Since policies would form the foundation that is the basis of every security program, the company would be able to protect whatever information that is being disclosed to them through technology. 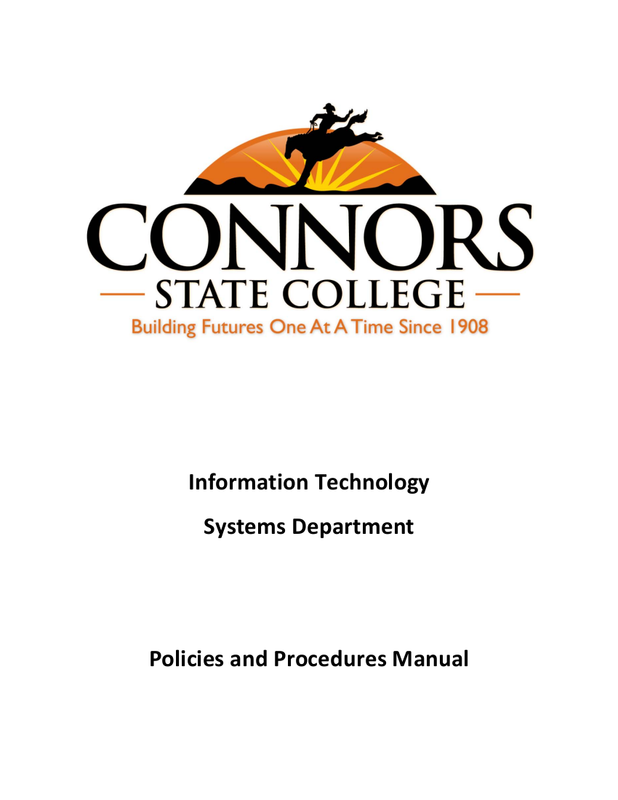 IT policies and procedures should always cover all of the possible information technology resources such as the hardware, software, and the content. 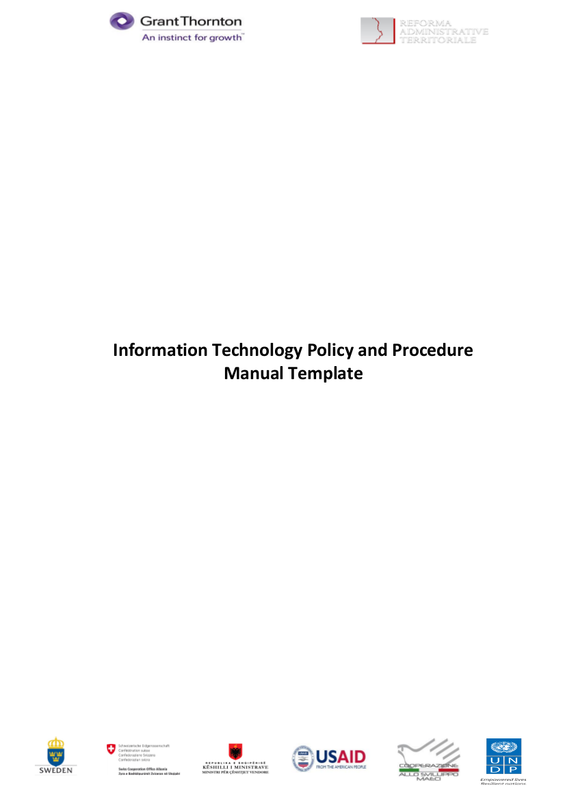 IT policies would outline the rules on how information technology will be handled and IT procedures would explain how the rules set by the IT policies will be applied in an actual work situation. Generally, IT policies and procedures set the employer’s expectations on how their employees or even their clients would be handling information technology. 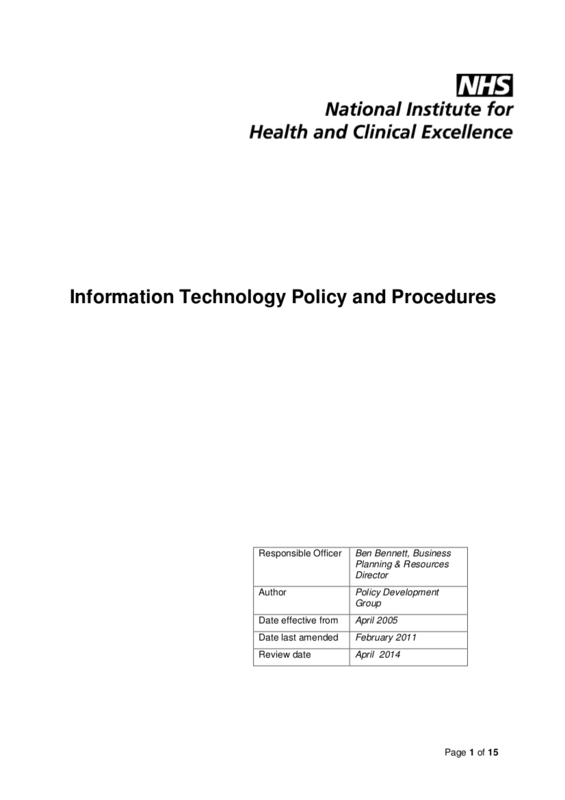 Information Technology (IT) policies and procedures play a critical role in ensuring how corporate information is kept safe and in regulating the use of the Internet for various purposes, particularly personal, at work. 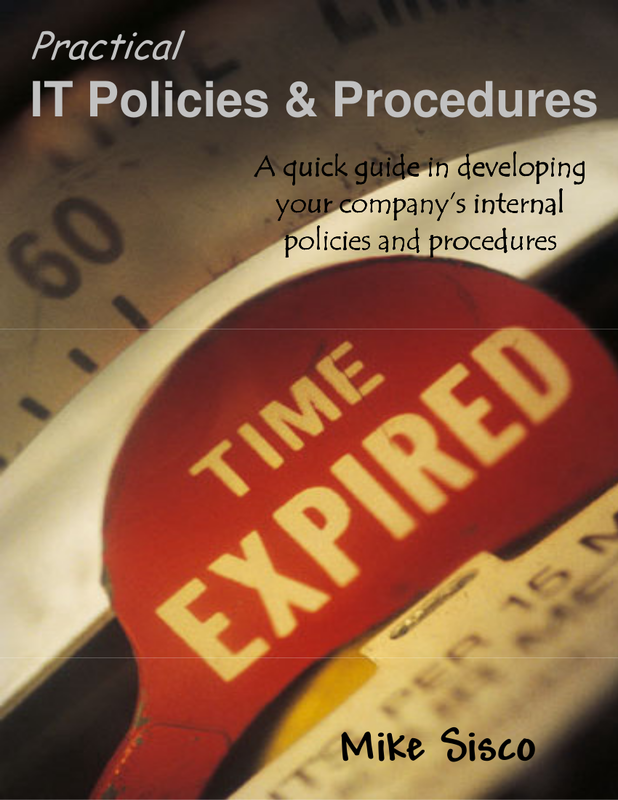 Why Are IT Policies and Procedures Important? 1. IT policies and procedures keeps corporate information safe. Having IT policies and procedures would enable to company to have the power to protect any information that is disclosed to them from unauthorized access and purposes by unauthorized individuals. They make sure that they would clearly state who are the other parties that the information will be shared to but and they would also make sure that the purpose is valid. Integrity. This form of information security makes sure that the disclosed information will not be tampered or destroy in an unauthorized manner by unauthorized individuals. Availability. 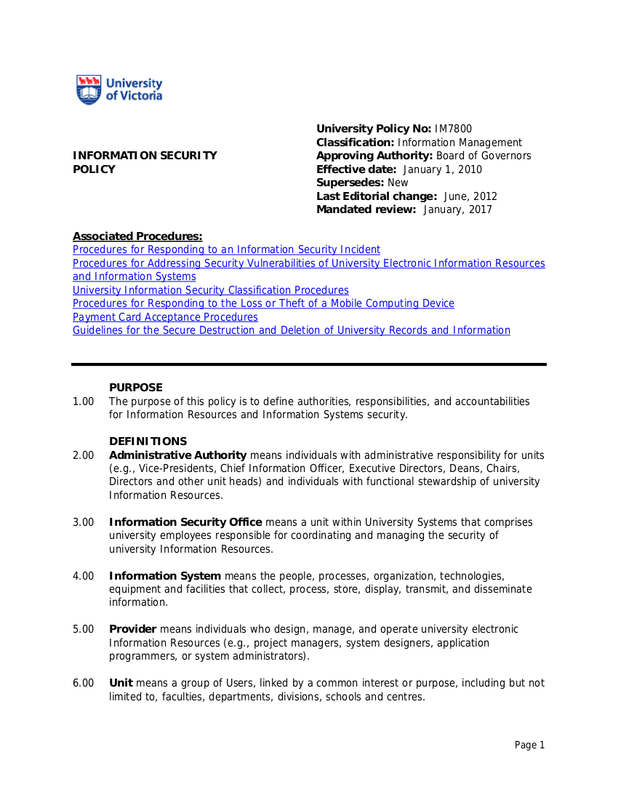 This kind of information security enables the disclosed information accessible and usable by authorized individuals or parties and with a valid purpose. 2. 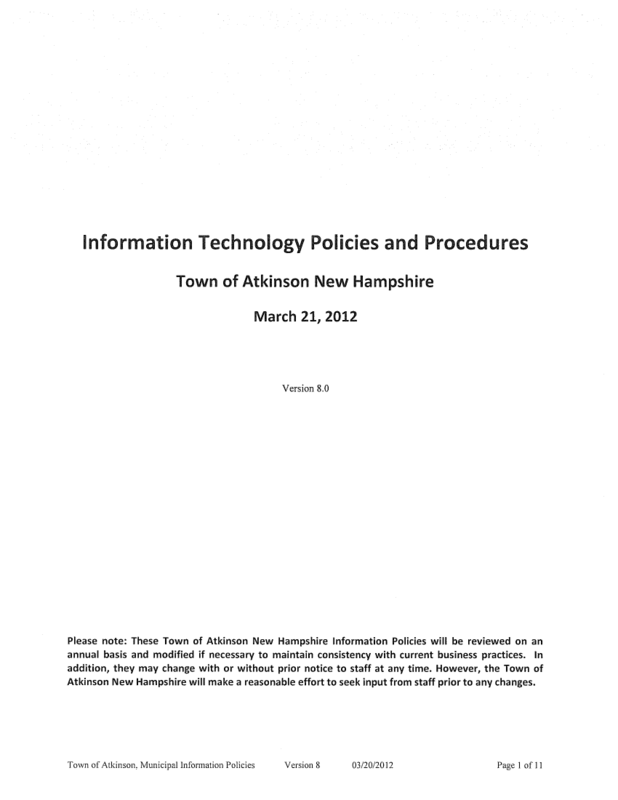 IT policies and procedures are important in the business sector. A lot of businesses now are either related to information technology or IT-dependent. They make use of its feasibility in their daily business activities. For instance, an online shopping portal has been made possible with the help of information technology. This has not only helped the business owners but as well as their customers. Information technology has helped businesses in guaranteeing satisfaction among its customers and that satisfaction enabled them to gain more profit and the best of all is gain the trust from their customer. 3. IT policies and procedures ensure the business meets meet legal, regulatory, and statutory requirements. 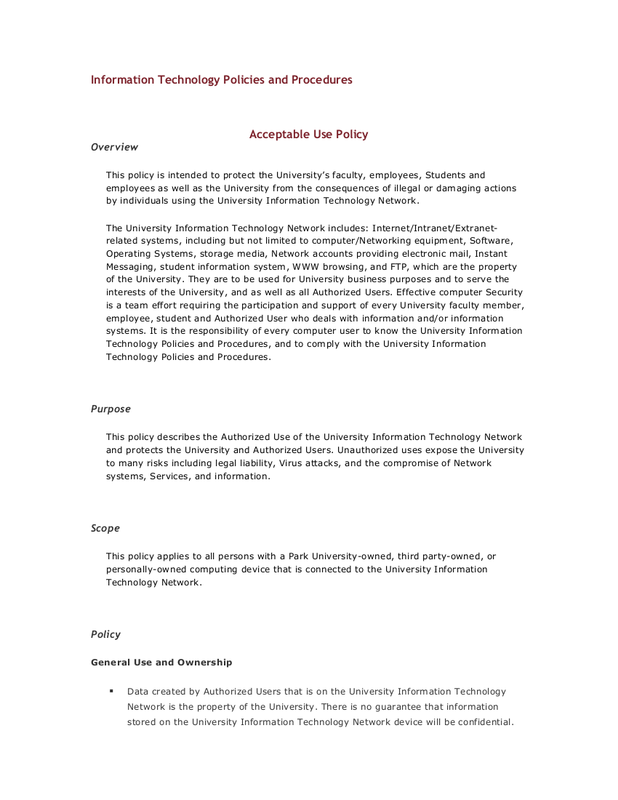 Having IT policies and procedures is not a trend since technology is so hyped in this generation. It is actually compliant with the existing local, state, or national law. As much as possible, businesses would really avoid rocky path caused by any legal issues. That is why having IT policies and procedures would enable them to mitigate any legal matters. 4. Through IT policies and procedures, employers are able to define their expectations. Although any mention about any expectations from employees would make them pressured, it is important that every employer must be able to define and outline what they expect their employees would act accordingly. Even if expectations, in general, gives pressure to anybody who is given the burden, it is still helpful in both ends of the parties. On the employers’ end, they would be able to address how they want to run things in the company. They make the things they want to happen clear and direct to the point. On the employees’ end, they will be able to gain values, improvement in their performance, as well as gaining favor from their employees once they would follow and comply to whatever that is expected of them. With the rapid increase in the advancement of technology and the means of how information is being disseminated through this medium, employers would be able to clearly define how their Information technology would run and would be used by the people responsible to handle it and their employees as a whole. 6. Through policies and procedures, problems and possible risks resulting from information leakage will be avoided. It is not any more unusual for businesses to have cases wherein their vital information has been leaked and used for illegal purposes by unauthorized individuals. It would be avoided with the help of an effective IT policies and procedures that would help in guiding the actions that would be taken in the event of an information leakage. In fact, f the IT policies and procedures are strongly enforced and practiced, it would avoid information leakage and any form of misuse of information. Also through effective IT policies and procedures, the company would be able to identify other possible problems that might possibly happen in the company. It would also enable the people working for the company to avoid such problems as much as possible and if in case it happens, they are knowledgeable on what actions that would be taken. 7. 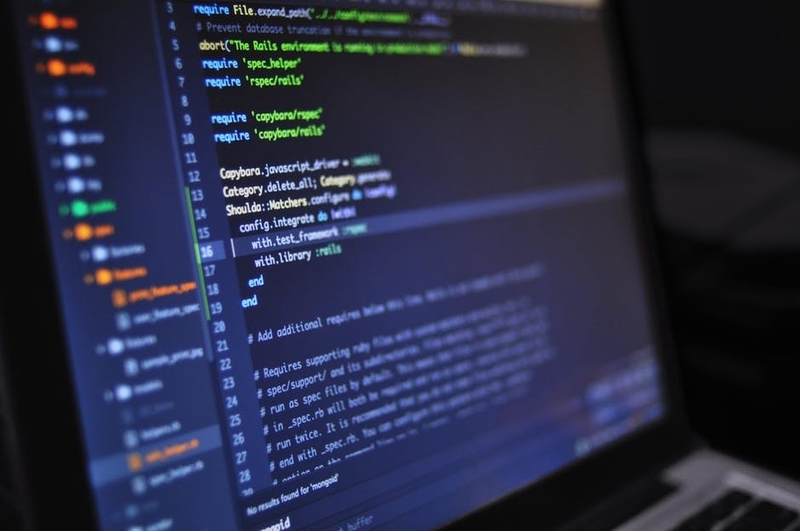 A company that has an up-to-date IT policies and procedures will be able to keep up with constant changes and advancements in information technology. The company will be able to provide their employees and clients security. The company will be able to protect its own by protecting its information systems and assets. The company will be able to have standard guidelines and procedures to follow that used in managing technology and information. The company will be able to provide a point of reference that is used for monitoring and measuring compliance among its employees and clients. The company will be able to regulate the risks that come with the misuse of technology or the information. The company will be able to meet the obligations the laws of the land demands. What Are the Benefits of Having IT Policies and Procedures? All policies in the company, like security policies, social media policies, attendance policies, and privacy policies, provide benefits to the company as well as who the company serves: the employees and the clients. IT policies and procedures make the employees informed and aware of their obligation and responsibility in the usage of information technology while being an employee in the business. IT policies and procedures enable employers or the management in taking actions in the event of an information technology misuse and it also helps the management in making effective and reliable decisions related to information technology. IT policies and procedures outline the expectations that employers would look forward to being executed well by their employees particularly on how they would handle IT-related matters.